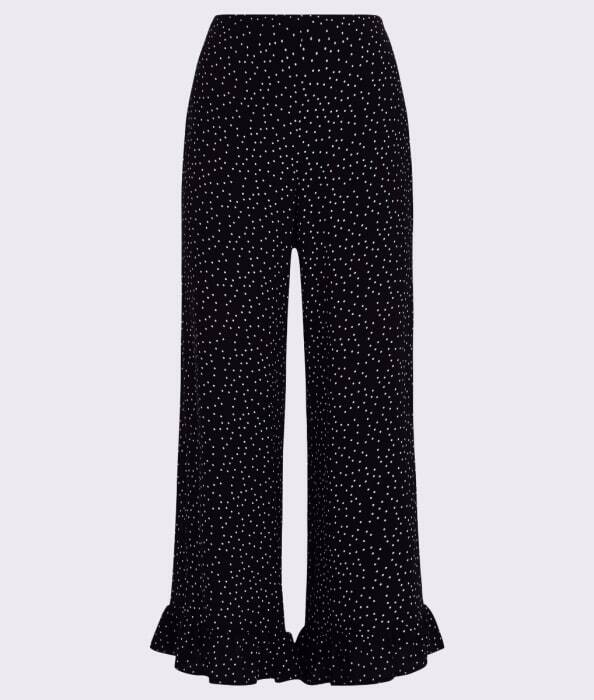 A live-in style for new season, these black Frill Hem Trousers deserve a place on the wishist. 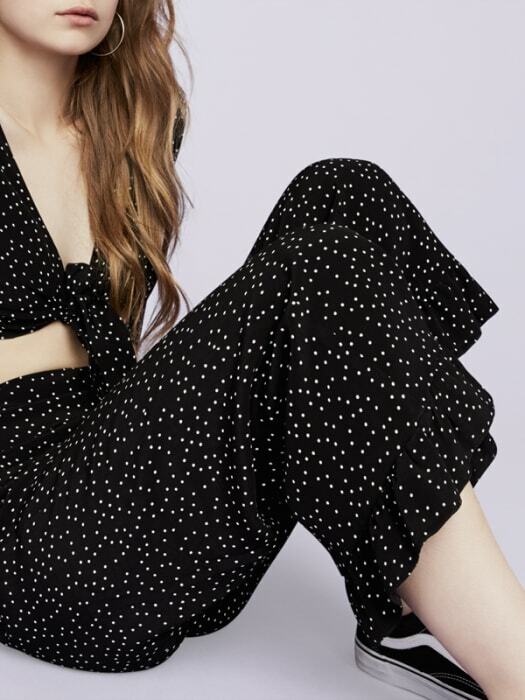 Sitting high on the waist for a shape-defining fit, frill detailing to the hemline provides next-level detail. Work the wide leg with Superga trainers for a street-worthy edge.